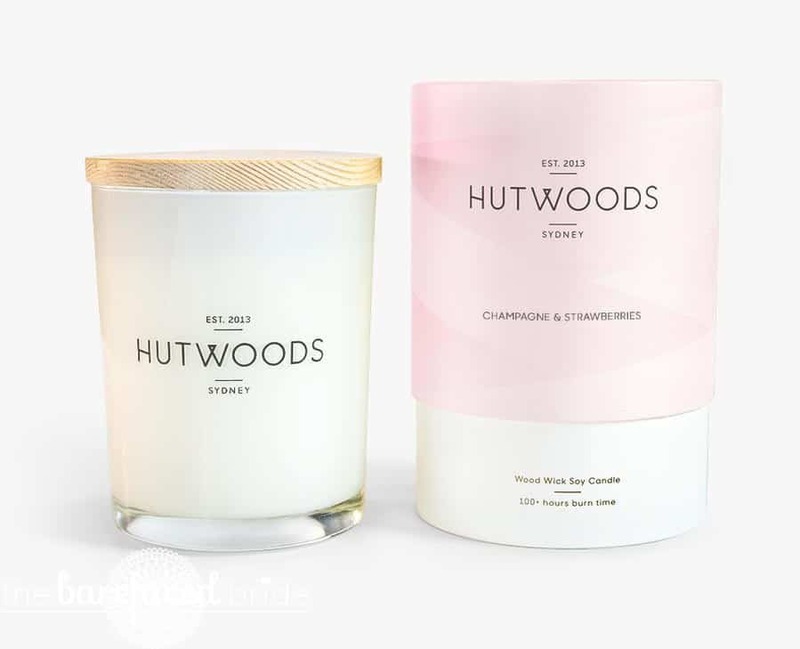 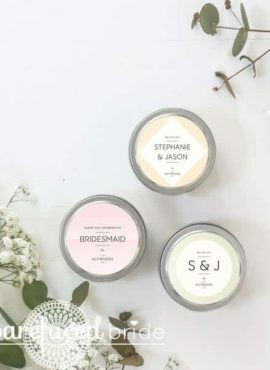 We use 100% natural soy wax in all our candles with eco-friendly wood wicks. These make a relaxing, soft crackling sound when they burn, as well offering a longer and cleaner burn. 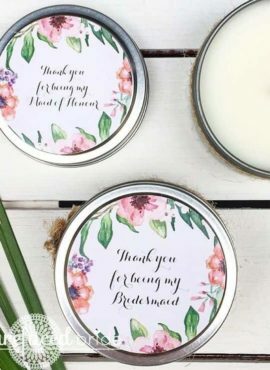 These candles are stocked in our studio and our brides-to-be love that they can purchase a little thank you gift for their bridal party while shopping for their wedding gown.